This is a flat vinyl print on 3/16" foamboard as shown in the photo . ***Note: The frame is part of of the printed image. It is not a separate frame. 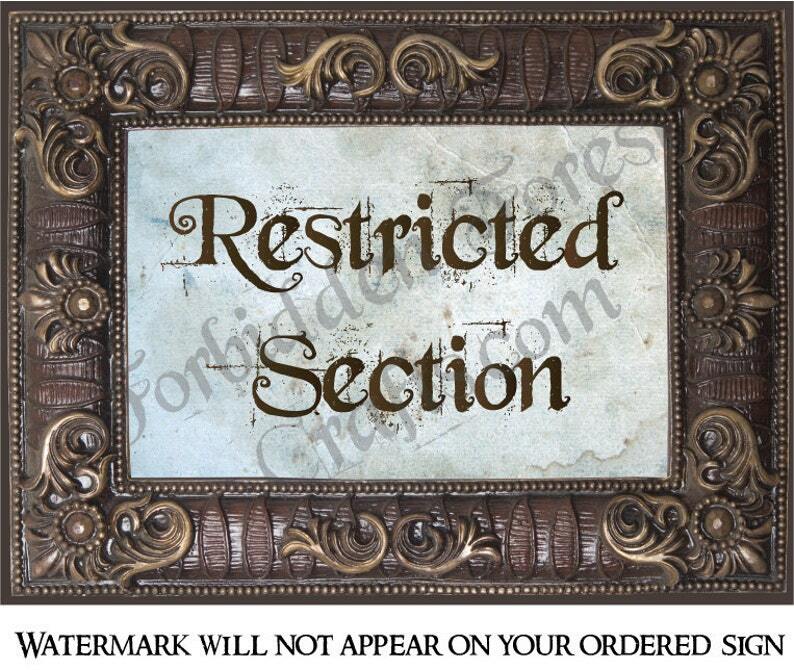 Watermark will not be printed on your ordered sign. While roaming through Hogwarts at the Wizarding World, I was inspired by all of the picture frames decorating the hallways. These signs are a great way to bring that magic home and decorate your home and office. This is a flat print on 3/16" durable black foamboard as shown in the photo. It is lightweight, perfect for hanging on a wall or interior door. I also offer custom signs on various substrates including aluminum for outdoor use. Please just send me a message with your idea and we can create a custom order! All customer orders come with two proofs and most cost around $15 + shipping (may be more depending on larger sizes). Love my new signs! I can't wait to get then hung up.